Yes, Wakanda is a fictional place and “Black Panther” is “just” a film, but the spiritual imagination that undergirds the movie can be an opportunity for learning, and even a fostering of faith in the idea that we can build a better world, if we are willing. In a real world that has so maligned black peoples and the continent of Africa, and questioned if any good can ever come from this place, director Ryan Coogler reminds his viewers both of the beauty that already exists on the continent, and also what may yet be possible. The film begins shortly after the death of Wakanda’s King T’Chaka (John Kani). 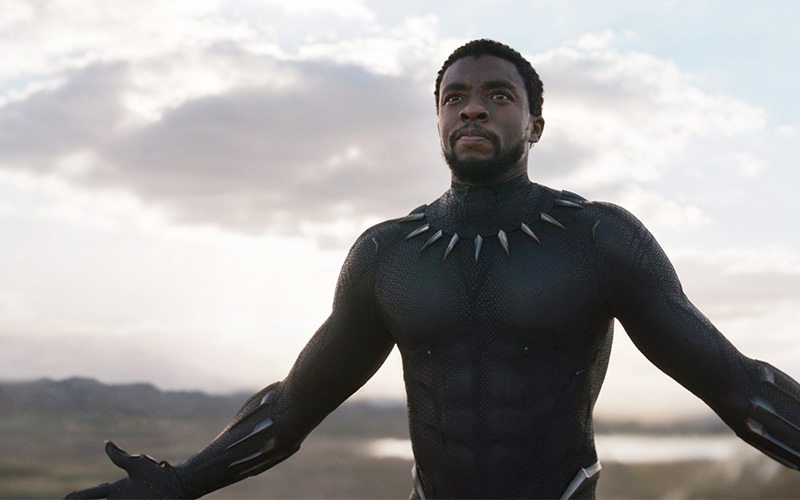 His son, T’Challa (Chadwick Boseman), returns to Wakanda to assume his father’s mantle and the authority and responsibility of serving as both king and Black Panther, protector of Wakanda. What follows is not simply a political process, the passing down of political authority from one monarch to the next, but a richly textured series of spiritual ceremonies. T’Challa must undergo a rite of passage to assume the throne; he faces physical challenges that attest to his strength, and takes part in religious rituals in which he encounters his ancestors and must seek their wisdom. The newly appointed King T’Challa must be buried; he must die to his old life; and he must be resurrected. This ritual is overseen by the elders, who function as moral authorities for the kingdom of Wakanda, but also as spiritual midwives and griots for its people. This pivotal early scene in the movie engages African cosmology and varieties of African spirituality on many levels. The viewer encounters a vibrant spiritual world from the earliest moments of the film, which draws from the cultural traditions of many real African nations by incorporating customs, clothing, languages, art, architecture, body modification styles, and combat techniques found across the continent. Rev. Yolanda Pierce is professor and dean of the Howard University School of Divinity. She is a scholar of African-American religious history, womanist theology, and religion and literature. Follow her on Twitter at @YNPierce.